In 2015 alone, electrocutions killed 81 construction workers in the United States. While, during that time, electrical workers had the most deaths caused by electricity, other members on construction sites including construction laborers, and carpenters also suffered fatalities resulting from electrocution. Additionally, most notably, forty-four percent of all electrocutions happen on an active construction site. Between 2008 and 2010, electrocutions accounted for 9 percent of construction deaths. The lifetime risk of a construction worker dying by electrocution is 1 in 1,000 workers, which is considered very high. At 23 percent, construction laborers share the highest proportion of fatalities. A construction worker who is injured due to electrocution can typically file a workers’ compensation claim to receive some money to help pay medical expenses, regardless of who was negligent. However, in some cases, an employer’s or subcontractor’s negligence can cause harm to others. It’s a good idea to hire a construction accident lawyer to determine if other parties may have been at fault. A successful lawsuit can bring about more money than a workers’ compensation claim. In 2016, of the 10 most cited standards violated as reported by Federal OSHA included electrical, wiring methods, components and equipment, general industry, and electrical systems design, general requirements, general industry. These violations typically point to negligence of the construction site foreman, subcontractor and/or the employer of the construction laborers. One recent electrocution case happened in Manhattan on July 18. A construction worker was on the roof of a skyscraper at 2 Park Avenue when he was electrocuted. It is unknown what caused the incident, but he survived and was taken to Bellevue Hospital in critical condition. In April, a construction worker was shocked while driving metal poles into a road with a sledgehammer. The incident happened in Manhattan on a street in Hell’s Kitchen. The man was critically injured and taken to Roosevelt Hospital for treatment. Construction sites are very dangerous. 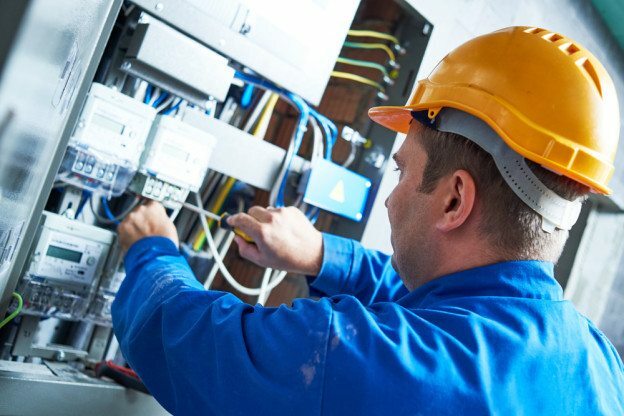 Workers are prone to a variety of accidents, including electrocution. If you or a loved one was injured or killed after being electrocuted on a job site, it’s important that you protect your legal rights. A lawsuit can hold the liable party accountable for their actions. Call The Law Office of Jeffrey K. Kestenbaum to set up a consultation with an experienced Brooklyn accident attorney. Contact our Brooklyn office at (718) 237-5586.